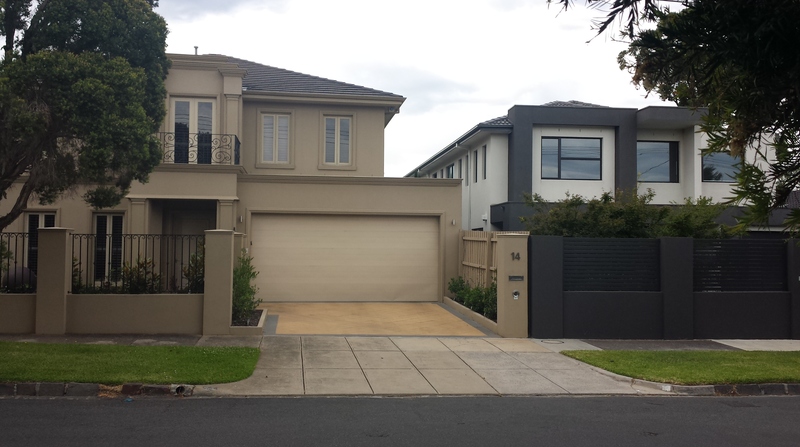 My sisters house on the left and my house on the right. As a young person growing up you try and picture what your life will look like when you grow up. I grew up in a close family and always had a close relationship with my sister who is 14 months older than me. In December 2000 my mom, sister and her family emigrated to Melbourne with me staying on in Johannesburg, South Africa. I moved with my family to Sydney in December 2007, and every year we come on a short holiday to Melbourne where we stay with my mom. This year my sisters best friend from grade 1 offered us to stay in her house while she is on holiday. The house is amazing it has everything, it’s massive with swimming pool and tennis court and every game a child could dream of. But it is even more amazing because it is next door to my sisters home with my mother a few streets away. So I write this post while living next door to my 44 yr old sister. Even though it’s for a couple of weeks I feel tremendously blessed to have this almost child like experience with my kids living next door to their first cousins and me and my mom and sister popping in to each other’s house. I grew up living a few houses away from my great gran, gran and grandpa, great aunt, and two of my moms sisters with my cousins, so the feeling of living next to my sister has brought back so many fond childhood memories. How wonderful to have friends that open their home like Lauren and Manfred. Yours truly is unwinding and recharging looking forward to a big 2015 and feeling so grateful. Our house is next door my sister in-law, we have a Inter-leading door. The nephews are often sitting watching TV in my house while we are often swimming in their pool. Enjoy this time together.